MOSCOW, Idaho – Well, at least it was a confidence builder. But no way to treat a considerate guest. 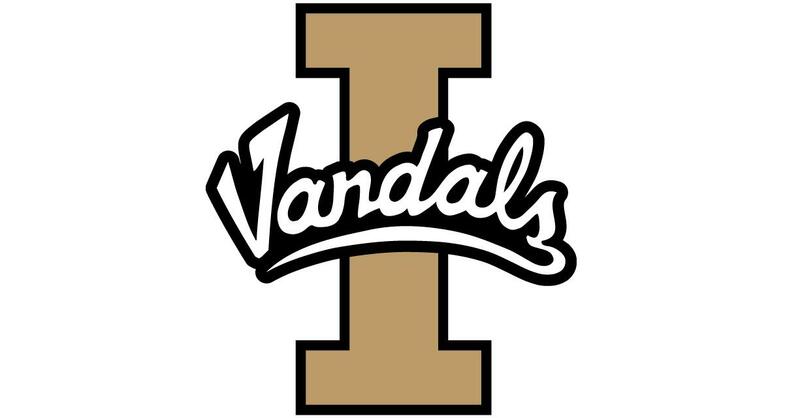 After Walla Walla University canceled its season and dropped out of a date with Idaho, the Vandals filled the schedule vacancy on short notice with West Coast Baptist College from Lancaster, California. The Eagles (0-6) are a member of the Pacific Christian Athletic Conference. “They bused from Lancaster. They were very nice to play us,” Vandals coach Don Verlin said. The Vandals (2-4) repaid that thoughtfulness Tuesday by cruising past the outmanned Eagles 98-44. Six Idaho players scored in double figures, led by Cameron Tyson’s 16 points. Geno West and Cassius Smits-Francisco each added 12. Jared Rodrigues and Trevon Allen had 11 apiece, and Xavier Smith 10 points. Verlin echoed his sophomore guard. “This team needs as many of those type of experiences to get out and play as they can get,” Verlin said. West, who split point guard duties with Allen, made two assists and a pair of steals. Allen is 6-foot-2. As a sophomore last year he worked exclusively at guard. But when he wasn’t running the Vandals from there Tuesday, he moved out to play extensively as a wing. In addition to his 11 points, he grabbed eight rebounds and made three assists. Two statistics summed up Idaho’s dominance. The Vandals outscored the Eagles in the paint 54-14. West Coast Baptist shot 27.3 percent from the floor (18 for 66) to Idaho’s 56.9 percent (37 for 65). The Vandals got shots inside at will, and their pressure on defense harried West Coast Baptist into 17 turnovers and many bad shots. Stephen Wheeler was the Eagles’ best ball handler, able to cope with Idaho’s backcourt pressure, but he turned the ball over five times. Ian Russell led the Eagles with 16 points. He was an efficient 8 of 15 on field goals with a jump hook and midrange jump shot. But at 6-5, he had the daunting task of trying to check the taller Vandals inside. Although he picked up three first-half fouls and another in the second half, he stayed in the game. The Vandals had 10 players with at least 16 minutes of playing time. Tyson, the leading scorer, had the least time on the floor (16:07). Verlin was pleased with the contribution from the bench, exemplified by sophomore guard Chance Garvin. Verlin noted Garvin scored six points and made a steal in nearly 26 minutes of playing time. Published: Nov. 27, 2018, 10:13 p.m. Updated: Nov. 27, 2018, 10:44 p.m.